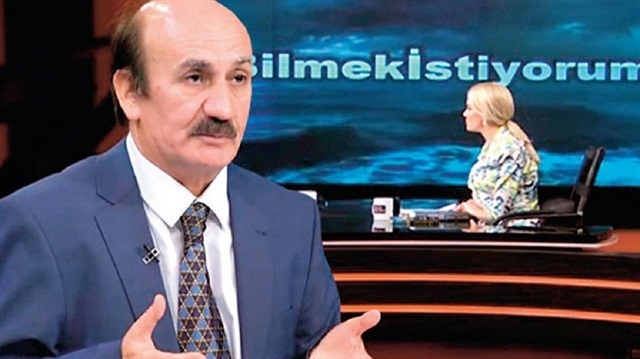 On Jan. 6th, Turkish academic Dr. Yavuz Örnek, a lecturer at the Marine Sciences facility at Istanbul University, went on a TV programme at Turkey’s public broadcaster TRT 1 to make some pretty wild claims about the biblical story of Noah and the flood. Örnek said technologies were much more advanced 10,000 years ago than most people realize, and that Noah built his ark using steel, using nuclear energy to power it. Örnek also claimed that Prophet Noah used a mobile phone to contact his son to convince his faraway son to board the ark with his family, and that instead of bringing live animals onto the ark, Noah stocked it with one male and one female egg from every living species. All life on Earth today supposedly derived from that ancient sperm and egg bank. Public response to the programme was mostly negative, with many viewers taking to social media to express their disbelief. After a commercial break the host, Pelin Çift, said that she shared the skeptical perspectives shared by many viewers on various social media outlets. For those unfamiliar with the ancient tale, Noah was a prophet in the Bible’s book of Genesis who was commanded by God to build an ark to save his family and a pair of every living species from a global flood. The story is revered in Judaism and Islam as well, with an entire chapter of the Quran devoted to Noah and the flood. Several scientists and adventurers have searched for the remains of Noah’s ark for many years. National Geographic News reported on April 30, 2010, that a group of evangelical Christians based in Hong Kong claimed to have found the ark on Turkey’s Mount Ağrı in the eastern province of Ağrı, but historians or scientists have not verified their claims. “I don’t know of any expedition that ever went looking for the ark and didn’t find it,” said Paul Zimansky, an archaeologist specializing in the Middle East at Stony Brook University in New York State, in the National Geographic piece.